← Dialog Report Back: Reverse Racism? NOT! Bayo Akomolafe is globally recognized for his poetic, unconventional, counterintuitive take on global crisis, civic action and social change. He is the Coordinating Curator for The Emergence Network, and host of the online course, “We will dance with Mountains.” His upcoming book is titled “These Wilds Beyond Our Fences: Letters to my daughter on humanity’s search for home”. 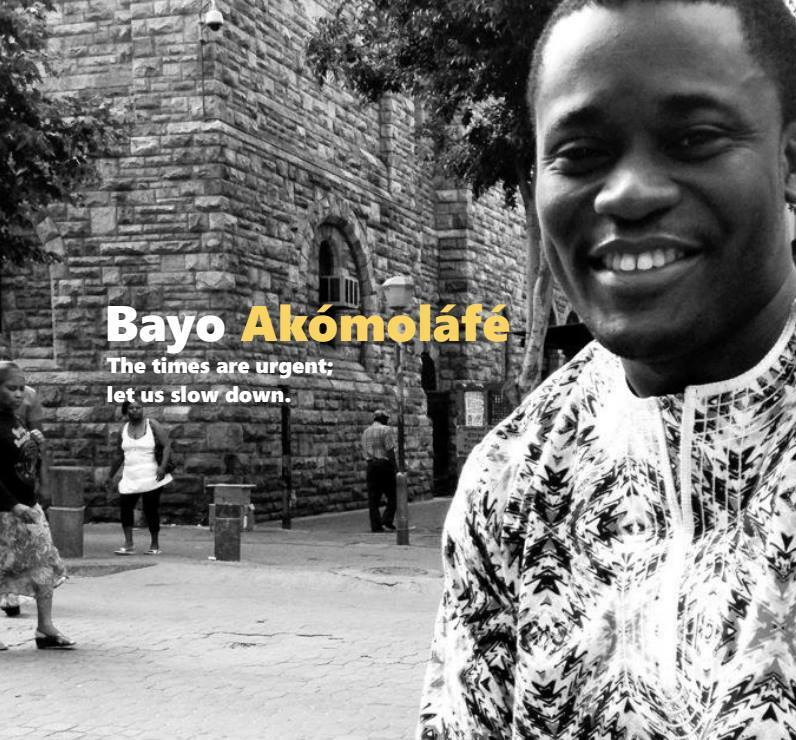 Bayo Akomolafe suggests our most well-intentioned practices for racial justice can often serve to silence the voices, worlds and powers of occluded people—perpetuating white norms. White privilege (and white guilt) is sustained by a denial of multiple places of power, and perhaps what is useful today is to head to the edges of our life frameworks, where we are most vulnerable, to listen to the ghosts of those forgotten. Bayo asks: In what ways can we partner with the world to perform new notions of racial identity and socio-politico- economic justice? Instead of trying to be “good white people” perhaps what racial justice asks of us, is that we account for our difficult histories, our deepest longings for something better and to consider curiosity as a replacement for confusion.